Chapman Windows and Doors is a family owned business servicing the Greater Philadelphia Area that started from a long standing history in building and remodeling. 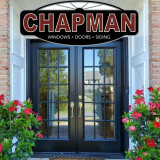 Chapman Windows and Doors was founded by owners Mike Chapman and Jim Reddecliff in 1994. Chapman's mission is to sell and carefully install quality products that meet our standard of excellence and to ensure the customer's satisfaction. Our business philosophy is to use only those materials that will perform for our customers and install them with care. Combining expertise, gained from years of hands-on residential building, with good old-fashioned customer service, Chapman Windows and Doors fills a homeowner's need for qualified, educated and experienced window and door distributors. At Chapman you won't hear, "That's not my department." Flexible shopping options - See our showroom or we'll come out and visit you: Chapman Windows and Doors' showroom, located in West Chester, PA, is staffed by knowledgeable professionals who let you see, touch and compare well-known brands to help you choose the right product for your price range and taste. Come see the finest selection of windows, doors (entrance, patio, or interior), gutters, siding, skylights, hardware and more at affordable prices. Or let us bring the showroom to you. Our highly qualified personnel are ready to help you choose the right product for your needs in the comfort of your own home. Either way, we're ready to assist. Don't take our word for it. High end Architectural Windows & Doors Founded in 1905, Loewen has developed a reputation for inspirational products, design leadership and custom capability. 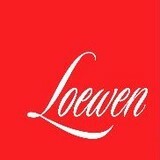 Our history helps describe our journey and foundation on which the Loewen brand of windows and doors is built. Loewen is a manufacturer of wood windows and doors designed and built for premium residential new construction, renovation/restoration and distinctive light commercial construction. We pride ourselves on products that are not only attractive but also cutting edge in their functionality. Our products offer performance, to keep homes comfortable and energy efficient, strength to protect against the worst that nature can deliver. We achieve this through careful craftsmanship and by customizing our furniture-grade fit and finish. Since 1989 we have manufactured custom sized interior and exterior shutters and doors. We offer several standard designs, as well as custom designs and historic reproductions. All of our shutters and doors are made to custom sizes to fit your needs. As an industry leader for more than 20 years, Solar Innovations® has a long history that is rooted in the heart of manufacturing with a deep passion for the American dream. As a single source provider of custom glass structures, skylights, windows, doors, and more, Solar strives to endlessly innovate and design custom products throughout the world. Our products continue to develop and grow as a direct result of our dedication to the industry and the creativity of our customers. By investing in our team and customers, Solar is proud to turn dreams into reality. All of our American made products are designed and manufactured at our campus in Pine Grove, PA, allowing for more flexibility to provide superior products and services. In addition, most of our engineering, product testing, and product designing take place within our facility. By producing as many components as possible in-house, Solar has greater control over quality, lead times, and cost, which ultimately achieve better results for our customers. Although Solar Innovations® comes from small and humble beginnings, we now reside in a 400,000-square-foot corporate and manufacturing space. With a three-building campus located on over 36 acres of land, Solar continues to develop and grow by creating innovative designs and engineering new product lines. The Solar team strives to forge its path into the future by promoting a strong spirit of unity, with the desire to be better today than yesterday. INNOVATIVE Solar Innovations® – it’s in the name. By constantly introducing new ideas with creative ways of thinking, our decisions take standard products to the next level. No project is too big or too small for Solar to handle. DURABLE The strength and durability of our products are a promise. The majority of our applications are impact tested in-house, ensuring that Solar’s projects can withstand the test of time in any environment. HIGH-PERFORMING At Solar, we are about superior results. Our company currently offers the largest, impact rated folding glass walls on the market and constantly strives to create the highest quality product possible. EASY TO OPERATE All of Solar’s applications are user-friendly and straightforward. No matter the shape, size, or type of project you may have, our products remain practical and manageable for the ultimate customer experience. We are full service home improvement company that is family owned and operated. We've been in business since 2007 and our services offered grow every year. We are a member of the Gloucester County Chamber Of Commerce, NARI ( National Association of the Remodeling Industry ), and we are an Accredited Business on the BBB with an "A" rating. Make a great first impression! Call today to receive 20% by mentioning Houzz! Proudly serving the Lehigh Valley for over 40 years, A.B.E. Doors & Windows specializes in doors, windows, and garage doors with superior construction and the best overall value in the industry. We have the perfect garage doors, new or replacement windows, entry doors, patio doors, storm doors, and basement doors for every home or business. At A.B.E. Doors & Windows we're driven by a relentless commitment to 100% customer satisfaction. * Clopay Master Authorized Dealer* For more than 40 years, Hunter Door has provided South Jersey homeowners and builders with both long lasting, beautiful garage doors and entry doors as well as garage door openers and prompt, professional service and repairs. We carry quality products from Clopay®, ProVia, LiftMaster® and Genie®, and our experienced staff of service technicians can handle any job - big or small. In addition to repairs and installation, we also offer custom painting services for your new door to perfectly match the colors of your home. Tom Adams Windows & Carpets started in 1955 as a storm window company for builders and homeowners. We have grown into a full service home improvement company specializing in windows, doors, siding, carpet, hardwood flooring, ceramic tile, interior design, and more. Clearview Window & Door Company is a local, family owned business, offering a wide selection of Energy Star products, with industry leading warranties. If you are looking for an honest, dependable and trustworthy company to work in your home, you’ve come to the right place. For over 23 years, locally owned ClearView Window and Door Company has installed the highest quality windows, doors, roofing, siding, additions and decks with professionalism, expertise and unparalleled customer service. ClearView is an exclusive authorized installing retailer for Marvin Windows and Doors serving Baltimore County and City, Harford, Howard and Anne Arundel Counties. We are a locally run business, serving Lancaster county for 36 years now, and almost 50 years of combined experience with top of the line workmanship and customer service. We give FREE ESTIMATES!!!!!!! Guida Door & Window is a family-owned and operated home improvement company with an established reputation for providing quality products, superior service, and expert installations dating back to 1950. It is our commitment to quality that has kept our customers coming back time and time again for all of their home improvement needs. Our beautiful custom-made exterior doors and high performance replacement windows are designed to upgrade the appearance and increase the value of your home. These highly-rated energy efficient products will keep your home feeling comfortable all year long, while significantly lowering your high energy bills. At Guida, we stand behind our work. We strive for excellence by hiring only the most trusted and skilled installers around, and train them to provide our customers with very friendly, clean, and first-class workmanship. Our goal is to treat your home as if it were our own...our reputation depends on it! Sales and installation of interior doors and accessories. We also provide free measurement service and estimates. We carry in stock a wide range of interior doors, door locks, door trims, door hinges, floor moldings, and ceiling LED lights for home and business. All our products are manufactured by leading European and American brands. Give us a call or visit our showroom in Philadelphia, PA. Visit our website to see our product collections online. *Hunter Douglas Authorized Dealer* Sunbeam window & door company has been your choice for vinyl replacement windows, entry doors, retractable awnings, and window treatments since 1946. The secret to our longevity lies in our professional workmanship, quality products, attention to details, and most of all our customer service. When it comes to your window treatments, you only want the best of the best. After all, there is little sense in cutting costs on your blinds and shades—cheap window treatments are especially prone to falling apart and showing signs of wear. The last thing you need is for your interior to be suddenly exposed due to faulty or damaged window coverings. At Sunbeam Window & Door, we are dedicated to ensuring that won’t happen. Alongside our collection of incomparable Hunter Douglas products, we offer a range of helpful services to make sure your window treatments are getting the care that they deserve. To shop our complete collection of window treatments and interior design products, stop by Sunbeam Window & Door today. Our Pennsauken, NJ window treatments store is located at 5825 Clayton Avenue and is open Monday through Friday 8:30 am – 5:30 pm and Saturday, by appointment. We hope to see you soon! The Robert K. Higgins Company is a small, two person (father & son) team that solely rep the beautiful Crittall product. Hot dipped galvanized steel windows and doors are our fancy and we are here to bring the steel look to life. What kind of services do Downingtown door dealers provide? Door dealers are responsible for a variety of services, including door installation, replacement, door repair and custom door design. If you need a new door, Downingtown, PA door dealers will help you determine what kind you need, as well as shape, color, size and more. From barn doors to French doors to front doors, these professionals can help you choose, install and maintain your door investments. Wood doors are beautiful, versatile and tend to be the most popular choice for both interior and exterior doors; they are easy to custom build, and include oak, cherry, walnut, mahogany, maple, fir and pine. Some standard wood doors have MDF cores wrapped in wood veneers, which minimizes the chances of warping as real wood expands when wet and contracts when dry. If your heart is set on a wood door but you think the Downingtown, PA climate might cause it to warp, talk to your door professional about a furniture-grade veneered door. Aluminum doors have an insulated core and come in a variety of colors and finishes. With a baked-on enamel finish, they won’t rust or need repainting, and many come with a 20-year warranty. Next to wood they are the most expensive and have to be custom-made. A Downingtown, PA door dealer can help you find a reputable aluminum door manufacturer. 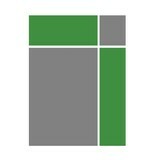 Find door dealers and installers in Downingtown, PA on Houzz. Look in the Professionals section of our website and search for Downingtown, PA door dealers and installers. Read reviews, look at project photos and see how a pro can help with your home improvement project.